Occasionally I'm asked how it is that I do what I do. Specifically, "How do you create? How do you make something from nothing?" Part of the answer is that I'm rarely ever making something from nothing. There is almost always something to start from - even if it is nothing more than a point of reference. Another part of the equation is that I live an integrated life. I surround myself with creative things made by others such as books, music, TV, movies, and art. I also engage in them. In one corner of my house I have a guitar and amp. If I hear something I like on the radio, I can attempt to figure it out for myself and maybe something new will come of it. In another corner, I have a camera. If I see an image by a photographer that I like, I can attempt to make a similar picture myself and perhaps that exercise will lead to something unique. I also have a shelf full of architecture books that I often turn to when I need inspiration. When I was working on the design of the Gregory Lofts in Portland, I looked through a book on Art Deco architecture for inspiration. Nothing of what I saw in the book ended up directly on the completed building, but it did show me how to design within the style. Taken at face value, the quote at the top of this page might seem insulting, condemning, and otherwise wrong. After all, we live in a litigious society where copyrights are fought over and plagiarism is punished. Just ask Shia Labeouf. However, I don't think that quote is meant to be taken at face value. Architecture, like just about every other creative endeavor I can think of, is a derivative art. I firmly believe that the creation of something unique depends greatly on the creator's awareness of what came before. To that end, copying (to me) implies thoughtless imitation. If you are copying, you are merely saying what has already been said, word for word, without adding anything to the conversation. 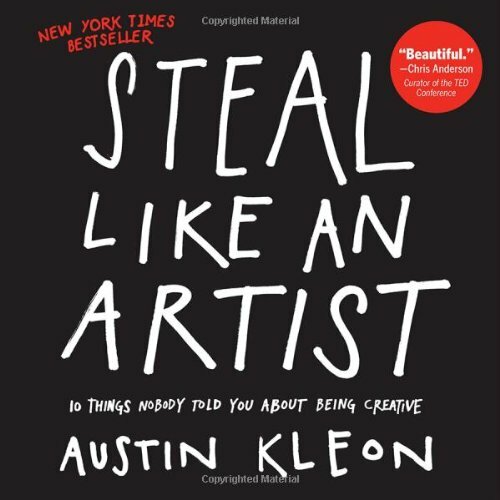 That "great artists steal" says to me that the artist drew inspiration from something else to create something new (or at least newer). In future blog posts, I'll try to expand on this topic both with examples from other creatives and with things that have directly influenced my own work.